UNES participates in the Nairobi International Trade Fair (NITF) held at the ASK Show Grounds Jamhuri, Nairobi from October 1st – 7th, 2018. UNES took advantage of the presence of the public, private sector and NGO to showcases its business portfolio as well as acquiring new leads for future businesses. As the developed government structure takes root, there is need for the UNES in partnership with the University at the 2018 NITF to focus on counties for purposes of engaging governments in terms of consultancy services, capacity building and training their staff. A shift in the marketing of the UNES and University in tapping the current market potential requires a shift from the center to counties. Both UNES and University purposed to piggy back on county events such as this to pitch consultancy and business development cases during the NITF ASK Show 2018. UNES participated in the just concluded Nairobi International Book Fair, the 21st Edition held at Sarit Centre, Nairobi from 26th – 30th September, 2018. It brought local and international suppliers within the reach. UNES as one of the exhibitors, got a chance to expand the frontiers by extending its supplier base both in terms of Clients, Books and eBooks. UNES also engaged the Book Publishers and Book Exhibitors as well as Members of the Public as part of tapping into the opportunities to leverage on the event to expand the market share, create partnerships and linkages. The University of Nairobi launched state of the art Customer Experience Center (CEC) on the August 31, 2018. It is the first of its kind and will elevate the institution’s status as it prides itself of world classless. It best suits a premier institution of higher learning which enjoys the number one in the country, the unified CEC is based on IP Telephony solutions enables integration of modern communication technologies with university systems in line with the broader university vision of world class excellence. This will see all the queries rooted to the well trained available agents and destined to relevant departments and divisions including UNES. All a client needs to do is to simply dial 020- 4910000. UNES, one of the subsidiaries and commercial arm of the University of Nairobi was privileged to treat the guest to a colorful cocktail organized at the University Towers 5th Floor and hosted by Arziki Restaurants. The Key partners were CISCO, Computech and Kansai Plascon, among others who made the initiative a success. UNES in joint partnership with the UON Library conducted an Automated Referencing Training on an Open Program basis. It targeted the corporate clients from different organizations and it is a three day corporate training program that runs through 21st June, 2017- 23rd June, 2017 at the University of Nairobi’s Jomo Kenyatta Memorial Library Training Center in Nairobi. The 1st phase of the training covers the Overview of various Referencing Softwares: Mendely and ZOTERO with the applicability and practical aspects. PHOTO: H.E Uhuru Kenyatta The President of the Republic of Kenya and Prof. Peter Mbithi The Vice-Chancellor, University of Nairobi Vice-Chancellor. President Kenyatta laid the foundation stone of the Koitalel Samoei University College. Koitalel was the supreme chief of the Nandi. The university college, which starts off as a constituent of the University of Nairobi, will be constructed at the cost of Sh3.4 billion. 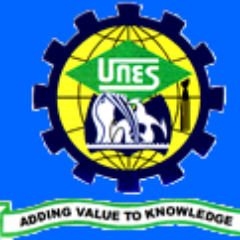 UNES participated in the UON Open Day under the theme: ” Quality and Innovative Education to Sustain Individual Growth” . It was held on Thursday 25th -Saturday 27th May, 2017 at the UON Main Campus Nairobi. UNES showcased the products and services especially the commercial enterprises that connect UON to the commercial entities as well as corporate clients in tandem with the theme. These entail UNES Consultancy, UNES Bookstores, Hospitality and Dental Plaza where clients inquest were provided and the details taken for future corporate engagement. The University of Nairobi, Kisumu Campus conducted an Open Week under the theme: Advancing the frontier of Knowledge in the Lake Region. It took place at the Kisumu Campus Complex along Oginga Odinga Street from 13th -20th May 2017. The Open Week formed a crucial interactive platform among different stakeholders from the Lake Region. The event involved participations and exhibitions by the University of Nairobi and other key stakeholders in the private, public and NGO sector. UNES participated as one of the corporate partners and showcased the key commercial SBUs especially the Consultancy, Hospitality and Bookstores. This was meant to connect UNES to the corporate world both internal and external. During the Marketing Event, UNES presented an award to the UON Library in terms of Book Donation to support the University and also to recognize and uphold the corporate social responsibility as part of its core values. .
Over the past decade, communication methods have changed drastically, with Twitter, Facebook, Instagram, LinkedIn, snapchat, whatsup, Foursquare and many such platforms on the go, it comes as no surprise that there is a close connection between social media and clients. It has become the easiest and the fastest way of connecting. However, the question remains of, how can social media influence organizations and institutions performance through engaging their clients and keep tabs on their needs and preferences. It is also evident that social media is an emerging theme in the modern business frontier and is important for firms in different arrays whether public or private owned having a widespread presence online to reach out to their customers and potential clients. Clients are actively sharing, commenting, liking, following all across social media while organizations are going a step ahead to make their presence felt. UNES Consultancy commenced the training on Friday 5ht May, 2017 with an enriching key note under the theme “The role of social media in an Academic Institution and Effective Digital Communications resulting in Return on Investment”. The opening of the 4th Annual Career Week organized by Karatina University runs from 3rd-5th May, 2017. It was marked with a lot of hype and ululations as different Schools and Colleges accompanied by principals and Heads from Kirinyaga County and beyond were brought together under one roof. The event was graced by corporate partners, dignitaries and guests from different divide. It was themed: “Youth Empowerment through Innovation and Entrepreneurship for Career Development”. It normally brings students together to provide mentor-ship in preparation to University life. UNES took the business initiative to exhibit during the event and to extend its market territory meant to cement the business relationship that it has long enjoyed over the time with varied corporate partners in the Mt. Kenya Region. UNES showcased its products and services especially UNES Bookstore, UNES Consultancy Short Courses and Branded Items during the Event. It was meant to promote UNES corporate brand, acquire, build and maintain business accounts as well as extending the market segment. UNIVERSITY OF NAIROBI ENTERPRISES & SERVICES LTD.